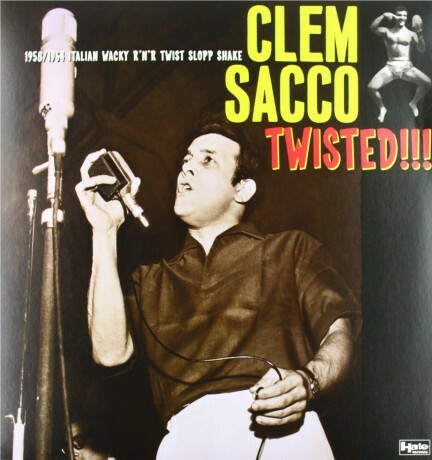 italian 50s madman - here's the label info: CLEM SACCO was a man ahead of his time. Too much for late 50s Italy, for the conservative journalists and small-town unenlightened record producers of the time. But now, time is making justice. At last!!! In 1957 Clem is literally knocked out by the just born rocknroll music, listening to Bill Haley, Elvis Presley, Little Richard, and especially Gene Vincent and the animal englishman Wee Willie Harris! Clem Sacco style is so unique and different from the other italian rocknroll singers like Celentano, Little Tony, Ghigo, Guidone..Hes so wild and savage, his performance is primitive, hilarious and ironic, and his lyrics are so weird and sharp! He writes his own lyrics and sings about (kissing! )varicose veins, boiled eggs, and various silly and weird behaviours. Gatefold LP, limited pressing. CINECYDE "You Live A Lie, You're Gonna Die" LP+7"
BLACK TIME "HATE SONGS FOR BLITZKRIEG BOPPERS"